bald eagle, originally uploaded by jahansell. 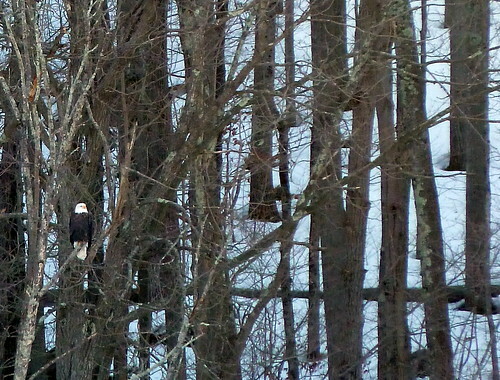 I've been scanning the hills for eagles all winter and finally spotted a pair today. The sun was just going down behind this hill and was so strong I could barely look towards the trees, let alone compose a decent shot -- I just closed my eyes and went click click click, hoping to get one. Hence the blur .. if I have time I'll go back in the morning - with a tripod!